We are a leading Manufacturer of titanium bio magnetic power bracelet, bio magnetic titanium bracelet, tungsten bio magnetic energy bracelets, round bio magnetic power bracelet, biomagnetic bracelet and tungsten bio magnetic bracelets from Navi Mumbai, India. 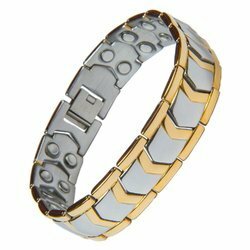 Bestowed on our domain expertise and market knowledge, our firm is engrossed in offering high quality of Titanium Bio Magnetic Power Bracelet. 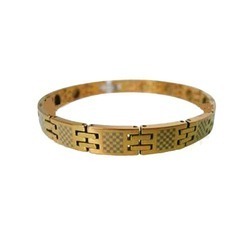 To cater the increasing requirements of our valued clients, we are offering a large array of Bio Magnetic Titanium Bracelet to our valued customers. As per the precise requirement, we are offering these bracelets in various sizes. 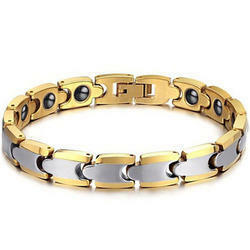 Now days Tungsten Bio Magnetic Energy Bracelets are widely used to solve many health problems related to diabetes, blood pressure problems, some of dangerous pains of a human body. We are a foremost provider of supreme quality of Round Bio Magnetic Power Bracelet. These offered products are crafted in adherence to industry-specified quality norms. Since we have incepted in this industry arena, we have been instrumental in the realm of presenting to our customers a comprehensive Biomagnetic Bracelet. 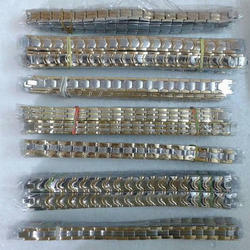 We offer Tungsten Bio Magnetic Bracelets.